Today: We’re a little starstruck -- over fruit. Starfruit's real name? Carambola. 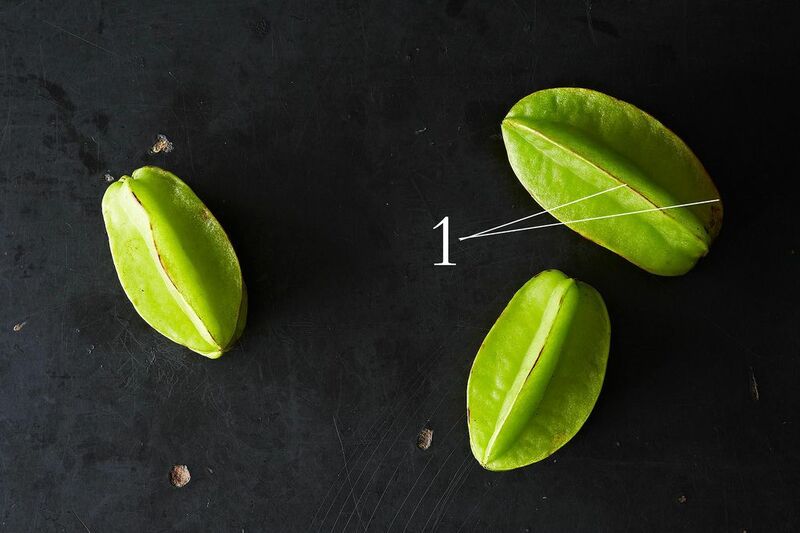 When sliced, it resembles a star -- and thus, the fruit's more common name, starfruit. The entire fruit is edible, waxy skin and all -- you just might need to eat around a seed or two. When ripe, the starfruit should be evenly yellow or yellow-green with no traces of green at the tip of the ridges. Brown edges (1, below) on the tip of the ribs are okay, but avoid fruit with brown spots all over -- that means they’re too ripe. Being tropical fruits, carambolas aren’t fond of the cold. Keep them out of the refrigerator unless they are at risk of becoming overly ripe and spoiling. More: Another fruit that seems like it might need to be peeled, but actually doesn’t? Kiwifruit. Starfruit can be juiced, dried, and used in all manner of desserts. Try it in fruit compote, starfruit upside-down cake, sorbet, or used as a filling for starfruit newtons. Carambolas can be used in savory dishes too: with chicken, seafood, or even in a frittata. We’d argue though that they are at their best raw -- decorating a plate, a pile of fruit, or your cocktail's glass -- it’s hard to get a fancier, more festive garnish. 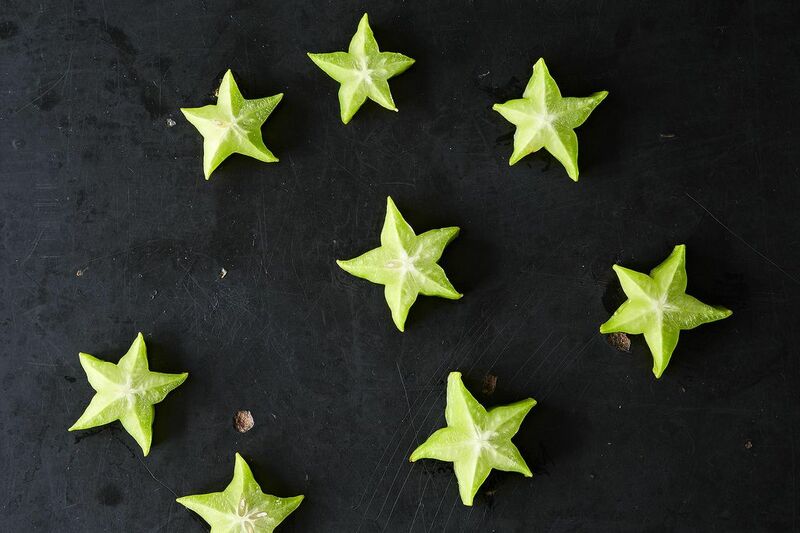 Ring in the New Year with a slice of starfruit on your bubbly, and share your favorite way to use them below! Agreed, it really is the prettiest fruit.